The vision of EMBRIO is to establish a multi-disciplinary network of university and non-university research institutes as well as non-governmental organizations and governmental agencies all over Indonesia. EMRBIO aims to become a communication hub between these institutions, promoting scientific dialogue among individual researchers with different perspectives on the overarching topic “Indonesian Marine Biodiversity”. This way, EMBRIO will foster integration of scientific expertise and encourage joining forces at the interfaces of traditional scientific disciplines. We believe that this interdisciplinarity will result in synergies that promote research innovation and strengthen approaches to counteract the complex environmental threats currently faced by Indonesian marine ecosystems. EMBRIO aims to become a central gate into Indonesia for international scientists and research institutions seeking Indonesian collaborators. This way, EMBRIO strives to strengthen world-wide research partnerships and the recognition of Indonesia’s Marine Biodiversity Research in the international scientific community. For sustainable capacity-building at Indonesia’s universities, EMBRIO has a strong focus on the training of students and young researchers, fostering human resources exchange among the partnering institutions. 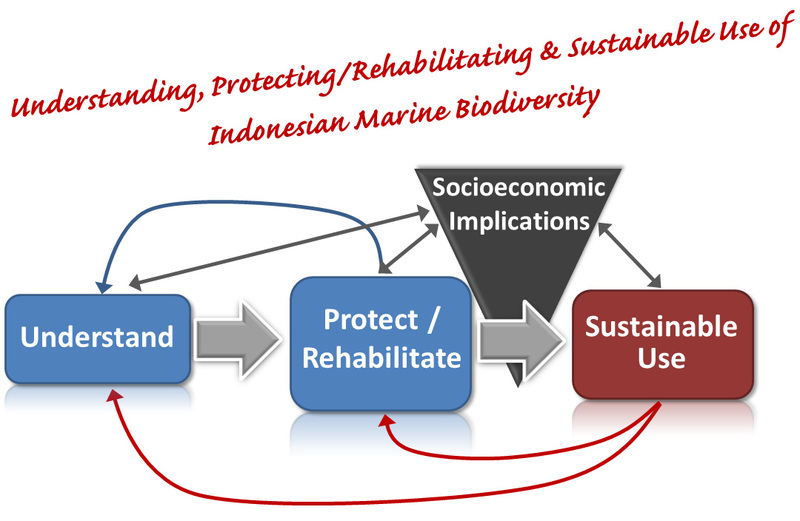 with the ultimate goal being the Sustainable Use of Marine Biodiversity resources for the benefit and welfare of the Indonesian people. EMBRIO will provide a platform for collaborative research and research training in the field of tension between fundamental science and biotechnological application. The EMBRIO Agenda aims to establish a value chain of projects working together in a concerted manner for this common goal.